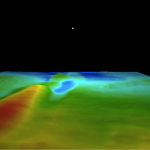 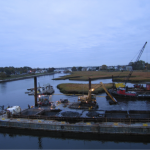 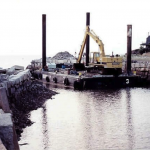 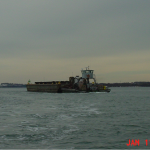 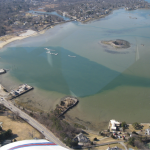 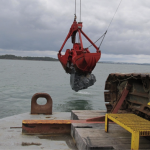 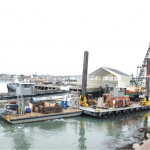 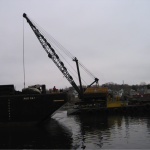 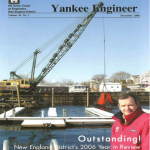 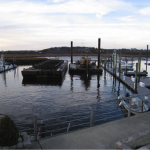 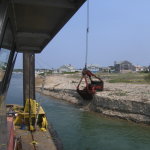 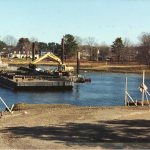 Project consisted of dredging 104,000 cubic yards of maintenance and improvement material from the New Bedford Harbor Federal Channel north of the New Bedford Hurricane barrier, to the south of the Butler Flats Lighthouse, deepening the channel to a depth of 29 feet. 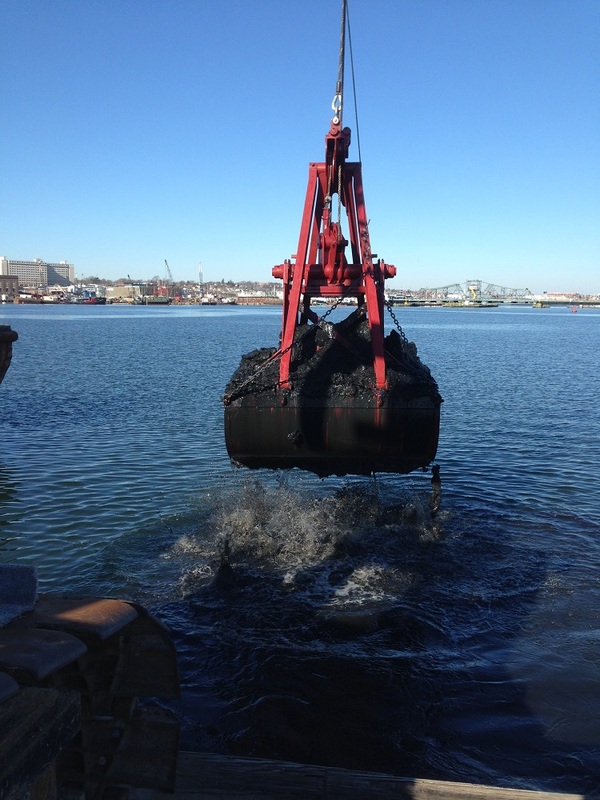 Dredged material is being held for 12 hours before being disposed of in the Upper New Bedford Harbor CAD cell. 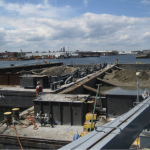 Material contains potential PCB contaminants, making this job fully self contained with numerous safeguards in place to prevent any loss of contaminated material back into the environment. 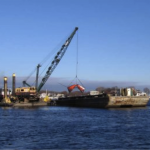 Unprecedented winter storms have held up the project’s beginning phases, but BAI maintained production rate for an early spring completion of the project, utilizing both the dredge plants Trinity and Samson III to expedite work in response to the winter’s weather impacts.